"Best Practice in assessment to enhance practical learning and employability skills"
In Science & Health acquiring practical skills in addition to experimental theory, is crucial to ensuring student learning and employability. The IOTs particularly emphasise developing practical skills to produce graduates who are “˜workplace ready””. It is widely recognised that assessment is an important influence on student learning, affecting engagement, motivation and effort. 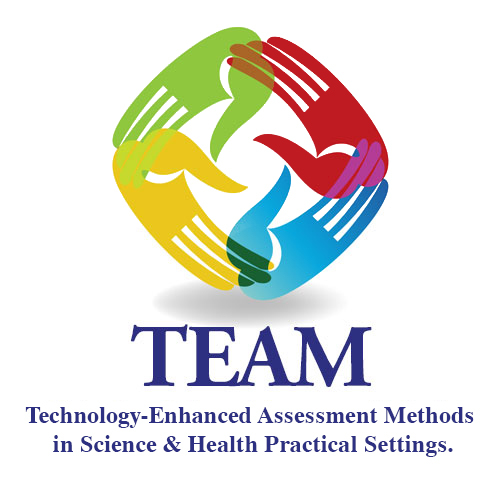 Up to 50% of summative assessment on these programmes is based on practical work. There is considerable scope for improvement in undergraduate practical assessment where concerns such as over assessment , authenticity and graduate skills are acknowledged. This proposal aims to develop a framework for applying the principles of good assessment and feedback to practical assessment and facilitate dialogue among stakeholders about what it is we want student to learn in practical classes and how our assessment can facilitate this. In particular, the proposal seeks to utilise the potential of digital technologies to facilitate peer and self-assessment,promoting greater self-regulation among students. Led by the Heads of School in each institution, a peer-support network shall be established. A review of current and best practice will identify opportunities to implement improvements using digital technologies. These will be piloted and evaluated. A web-based portal of resources across the partner institutions shall be created to share resources across the partner institutions and wider academic community. Sustainability shall be ensured by maintaining the discipline specific network to foster ongoing best practice and disseminate practices . An end of project workshop will showcase the learning from the project and expand network. By emphasising and embedding good practice principles, the validity of the assessment process shall be improved. Furthermore it is hoped that the project outcomes shall improve learner through enhanced learner performance and awareness of the relevance of practical activities to theoretical concepts relevant to given modules of study.